There is a new iOS beta. With grouped notifications. 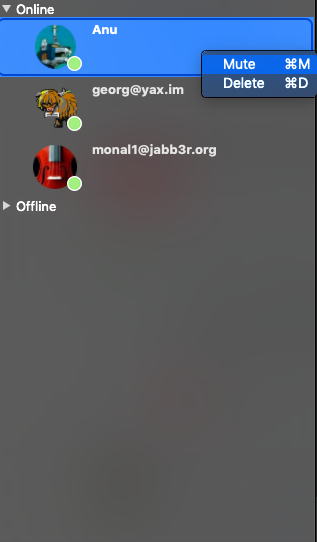 Notifications are grouped by app as well as by conversation. If you get a lot of messages on a certain MUC, this should make life a lot easier. Merry Christmas. New details screen with OEMEO fingerprints, trust etc. iOS 3.3 is available in the App Store. Mac 2.3 is almost complete. The last major change was muting to match iOS. You can now either use the key binding, menu or right click context menu to mute. The push on Monal works well enough now that I have noticed that not being able to mute conversations is a rather serious pain point. 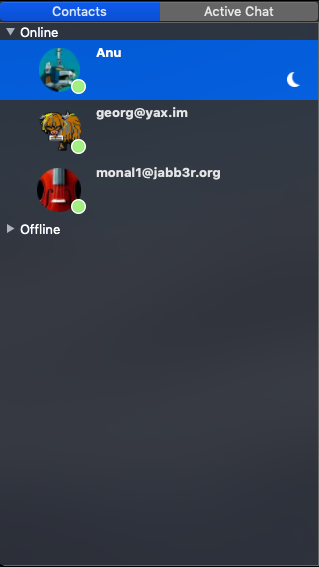 I have added the ability to mute notifications on conversations in the next iOS release. Blocking will come later. You can see the moon next to contacts that have been muted. There are new iOS and OSX betas. The focus here has been to resolve issues with Muc. These will likely be the next releases as well if there aren’t any issues. I would like to get more stable versions out before the App Stores close for X-mas. 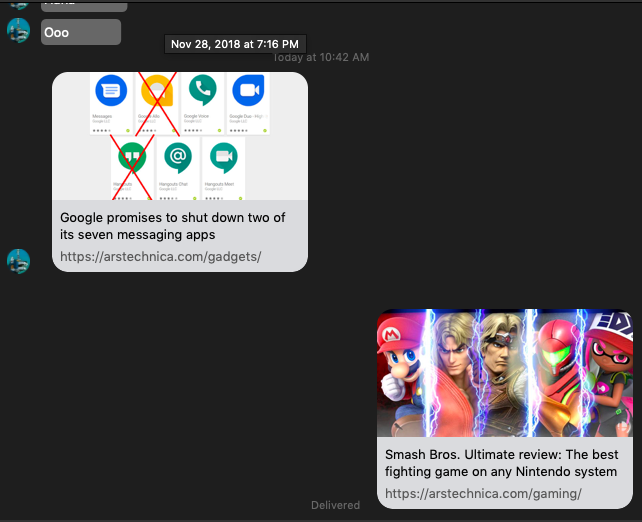 The most notable UI change is the active chat tab rows now have a snippet of the last message like iMessage. I am still working on improving all of the connection issues and adding a debug log. So much to do so little time! As usual I am monitoring the crashes coming in on the latest iOS release and will have an update soon. There should be a beta today or tomorrow with all of the most common crashes fixed. It seems the last release’s changes to strictly check domains on SSL certs broke gmail compatibility when you host your domain there. There is now a Mac beta of 2.3 with this fix available. The version number has increased because this is also the first release running in the MacOS hardened runtime. Let me know if you see any oddities. It’s an added layer of security for users that I would like to take advantage of. This is the first beta trying it out but going forward Monal builds not in the App Store will also be notarized. Macs now have link previews just like iOS. I will be rolling this out into the next beta today. The iOS app should be going into the App Store today. I will disable OMEMO and roll out an update to the Mac App Store as I continue to work on OMEMO, I don’t want to hold up the many security updates.